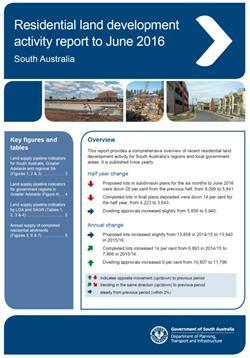 A significant package of work has progressed over the last few months that will help shape the urban form of Adelaide. The Department is supporting the delivery of a whole range of initiatives that put design at the heart of the planning system. Many of these initiatives and programs will continue over the coming year. At the same time, we have continued our work on implementing our new planning system which is starting to take shape. In this space, the State Government will soon be in a position to announce the new State Planning Commission and Ministerial Advisory Committees that will have an integral role in delivering the planning reform program. Commencing this week, the planning reform team are embarking on the first in a series of Council Roadshows that we’ll be taking right across the State aimed at informing and supporting local government practitioners in their transition to the new system. The rubber is hitting the road with the Community Engagement Charter as well with an exciting community-led program starting in July to develop the draft Charter. Please consider the opportunities outlined below to get involved. Plenty happening and lots more to come in 2017. We look forward to sharing more with you all soon. 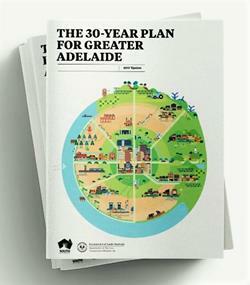 Today marks a major milestone in the future planning of South Australia’s capital, with the Minister for Planning officially launching the release of The 30-Year Plan for Greater Adelaide – 2017 Update. We are now working on a 12-month implementation plan that will be released shortly. Capital City Design Quality – A review of design policy for Adelaide’s city centre has now been finalised and new policies are in place to support a higher standard of design and support carbon neutral initiatives. Design Guidelines – prepared by the Office of Design and Architecture to support the delivery of well-designed homes in metropolitan Adelaide and towns across South Australia. ​This is the first in a series of guidelines to be released progressively. Improved Design on Inner Metropolitan Corridors – aimed at improving the form and appearance of new developments and providing better design outcomes for communities. Rezoning inner metropolitan growth corridors – a number of sites along important transit-corridors, identified in the 30 Year Plan for Greater Adelaide are proposed to be rezoned for mixed use development. have site conditions that enable the interface with any adjoining areas to be well managed (i.e. of a suitable size, separated by roads etc). We would like to thank the Adelaide City Council and the Cities of Onkaparinga and Prospect for working with us to test and build the design policy. Development Plan Amendments (DPAs) in these areas focus on improving the form and appearance of new developments and improving the integration of new developments with existing homes. View the Minister’s message about the initiatives and our vision for land use in Greater Adelaide here. For other related reports please visit www.sa.gov.au/planning/landsupplymonitoring. A map showing allotments created from land division applications can be viewed in the Location SA Map Viewer. An integral part of the current planning reform is the development of a Community Engagement Charter that will shape how the public participate in proposed changes to planning policies and rules. DemocracyCo and Matt Davis are assisting DPTI and the State Planning Commission develop a draft Charter. They have devised an innovative, collaborative program that will see community representatives work alongside practitioners, local government and special interest groups to produce the Charter. This is to occur over two weekends in July. We are seeking around 30 people with a broad range of expertise in planning to support a community-led panel draft the Charter. For more information, or to express your interest in being part of this process, please contact Anya.Hart@sa.gov.au. This month, DPTI will commence a series of Local Government practitioner information sessions (roadshows) covering the implementation of the PDI Act. The sessions are aimed at informing and supporting Council practitioners in the transition to the new system and will cover a range of topics. Invitations have been sent via Eventbrite to Council CEOs and senior staff for the three metropolitan and five regional roadshows. Any officers involved in planning, development, infrastructure, land division and related fields are encouraged to attend. If you have not directly received an invitation but are interested in attending, please contact TenilleFrancyne.Anderson@sa.gov.au for an invitation to be sent. Enquiries may be directed to Mark.Adcock@sa.gov.au. Today we have launched Snapshot SA and Our New Planning Future on the SA Planning Portal to coincide with the Minister’s announcement yesterday. Snapshot SA is an exciting new way of showcasing key demographic and development data in an easy to digest format. Our New Planning Future provides a summary of a range of recent strategic initiatives and is provides a new online platform for engaging with communities on the future of land use in our state. We will progressively improve the site to include innovative engagement tools and planning information over time. Take a tour of the new pages and let us know our thoughts. a maximum of five (5) members. Up to one of the five may be an elected member of Council. Councils will need to appoint an Assessment Manger. 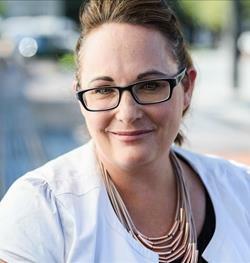 Non-elected members of Panels and the Assessment Manager will need to be Accredited Professionals under the new Act provisions, but not at first. The accreditation requirement will likely be introduced later in 2018 once the accreditation scheme has been established. Elected members will need to be suitable persons appointed by Councils as set out under the new Act. Under the transitional arrangements, Regional Assessment Panels may be transitioned to the new Act, however the participating Councils must specifically request the Minister re-appoint the regional panels by no later than 1 September 2017 to enable the necessary arrangements to be made. Further information, including draft regulations, a draft Code of Conduct for Panel members, and draft procedures for Regional Panels can be found on the SA Planning Portal. Last week, Kaush Singh, Development Manager, Infrastructure from Economic Development Queensland presented to the Planning Reform team about the various infrastructure policies, planning methodologies and charging mechanisms currently in place for Priority Development Areas across Queensland. Kaush’s experience and learnings will be hugely beneficial for the Reform team as it moves towards developing the pilot projects and various policies associated with developing and implementing the basic and general infrastructure schemes under the PDI Act. DPTI has formed a partnership with the Local Government Association (LGA) to support and implement the Planning, Development and Infrastructure Act 2016. 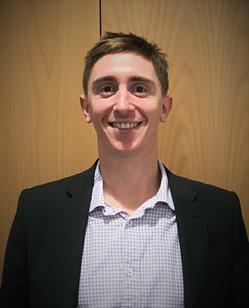 Next month, Project Officer Leif Burdon will commence a secondment with the LGA to act as a conduit between both organisations to promote Local Government input and involvement in delivering a new planning system to South Australia. A key role for this position will be the development and delivery of key communication strategies aimed at Councils, Elected Members, chief executives, senior managers authorised officers, and other relevant staff and stakeholders associated with Local Government concerning the implementation arrangements, objects and provisions of the PDI Act. 6 June 2017 PIA Event – Essential traffic planning for planners.